April 28, 2015 - Union Wireless announced today that the company would continue making major investments in the region for the foreseeable future. These investments will expand their wireless network in previously underserved areas or expand upon the network in growing markets. On average, Union Telephone Company has invested $20,000,000 each year between 2009 and 2014 on infrastructure including: network upgrades, new cell sites, advanced technology and upgrades from 2G and 3G to 4G/LTE. 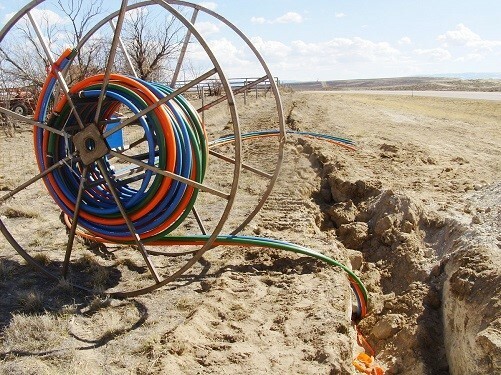 In addition to the above, Union added over 150 miles of new fiber-optic cable and transmission equipment in Wyoming and western Colorado in 2014 and will add another 200 miles of fiber in 2015. Fiber-optic cable is becoming increasingly important as a method to carry both voice and data signals from remote towers to microwave antennas, underground copper lines, and other cell towers. Fiber-optic cable increases the capacity for a network to provide voice, data, and messaging services in the form of backhaul. The fiber system that Union is building out will provide more capacity than is in use today and allow substantial expansion of the same into the foreseeable future.